If you’ve already read an advanced reading copy and have liked it, please click “like” below the title. You can pre-order the book by pressing the “pre-order: add to cart” button. Offerings by Christine Sunderland is a wonderfully entertaining novel which includes an interesting and engaging story as well as rich historical and descriptive passages. Madeleine and Jack have been together for many years and have endured many trials. The novel begins with a flashback of Jack’s father dying, an event from which Jack has never truly recovered. The first chapter takes place at Madeleine’s son’s wedding where Jack collapses. Madeleine finds out that he has cancer and has months to live. The doctor convinces Madeleine not to share with Jack how serious his condition is. Her husband’s life could be extended, the doctor tells Madeleine, if he undergoes a risky procedure. However, the physician who has perfected this risky procedure has gone “on vacation” and is not available to do the surgery. Madeleine and Jack travel to Europe to search for the elusive Dr. Rachelle DuPres. Rachelle is not “on vacation,” but is trying to discern the meaning of life and questioning her vocation to be a doctor after one of her patients dies. The story goes back and forth between Madeleine and Jack’s story and Rachelle’s compelling spiritual journey. Sunderland’s beautiful writing, descriptions and history were so real that I felt like I was accompanying Madeleine, Jack and Rachelle on their respective travels through Europe. Although I was familiar with some of the history she included, I thoroughly enjoyed the historical background of the different European cathedrals, the Crusades and the Miraculous Medal. I highly recommend this beautifully written book to anyone who enjoys a great story with well-developed characters and the occasional history lesson. Offerings is available through Amazon. 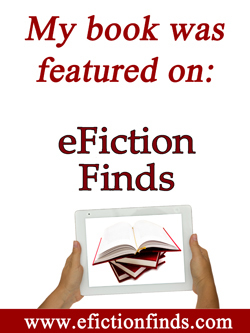 I was introduced to Nancy Carabio Belanger last year through the Catholic Writers Guild and Catholic Fiction.net. 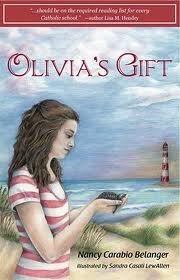 I was asked to review her first book, “Olivia and the Little Way,” (my review here), then later her second novel, “Olivia’s Gift” (review here). These beautiful books are ideal for pre-teens and teens, although adults would also enjoy them. Enjoy this excerpt below from Olivia’s Gift, Chapter 20. Olivia’s heart started to beat wildly. This wasn’t right. They weren’t supposed to be doing this. She thought back to Danny’s book. The Loggerhead turtle eggs were supposed to stay covered until they were ready to hatch, right? They shouldn’t be disturbing them in this way. Brandon stood up. “Come on; it won’t bite. Here.” He gently placed it in Olivia’s palm. She stared down at it in shock, her eyes wide. She breathed heavily. This felt totally wrong, yet, after reading Danny’s book, she was curious. Was there really a baby turtle in there? She lifted her hand and peered at the tiny egg for a closer look. It was leathery and soft. Okay. I looked at it. Time to put it back. She started to lower her hand and give it back to Brandon, but something stopped her. Olivia’s heart skipped a beat as she watched the tiny egg tremble back and forth in her hand. It rolled around a couple of times, then stopped. The baby turtle was inside and it was moving! Oh Lord, she cried inwardly. What have I just done? Oh God, Oh God, Oh God, Oh God…her mind raced. She suddenly thought of Mrs. Duggan and her baby moving and kicking inside her belly. “I don’t want this! Put it back. It moved! Put it back and cover them back up!” she demanded frantically. She gave it back to Brandon, trusting that he would do the right thing once he knew the truth: that there was a live baby turtle inside. Next to her, Hayley gasped. “She told you it moved! Brandon, they’re alive! Put them back NOW!” cried Hayley. Brandon held up the egg with a sinister look on his face. This was not about to happen. This was not…Olivia’s face grew white with horror. Thank you, Nancy, for allowing me to post an excerpt from your wonderful book! I absolutely loved Catholic Family Bootcamp and I highly recommend this wonderful, easy-to-follow resource to everyone who wishes to increase in virtue and grow in holiness. You can purchase it at the book’s website. Right now until June 1st, if you leave a comment and include your email address, you’ll be automatically entered to win a free copy of Catholic Family Bootcamp. My column this month for Catholic Mom is entitled “Desperately Seeking Pregnancy” and is an edited version of my column of the same name at Amazing Catechists. For the past 26 years, in our capacity as NFP teachers, my husband and I have counseled many infertile couples. They often come to us after actively seeking a pregnancy for many months. In some of the cases, teaching them NFP and helping them to determine the most fertile time (as well as giving them ways to increase their fertility) eventually results in a much-desired pregnancy. However, there were some who, despite those tips, did not become pregnant. Pay attention to nutrition. For more information on this, I highly recommend Marilyn Shannon’s excellent book, Fertility Cycles and Nutrition. The pro-life cause is winning. In state legislatures, in the media, and in grassroots efforts to reduce the number of abortions, pro-life activists have put abortion rights advocates on defense. The pro-life movement certainly has hurdles to overcome before the United States can become a place where all human life is legally protected. Yet the eventual outcome is certain. Here are five reasons I believe we have reached a tipping point in favor of the pro-life cause. Click the link above to read the rest of this article. 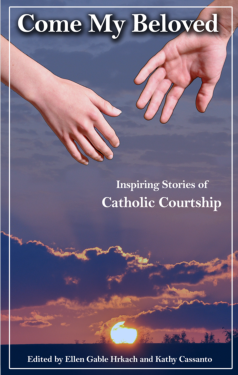 My new book, Come My Beloved: Inspiring Stories of Catholic Courtship, will be released on June 15th. The book’s website has been updated with a new book trailer as well as some advanced reviews. Many thanks to my son, Ben, and my husband, James, for helping with the book trailer.